EXCLUSIVE! 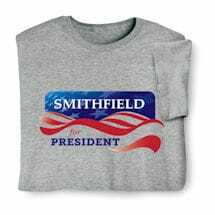 Purport your candidancy for president with this (un)official election shirt. 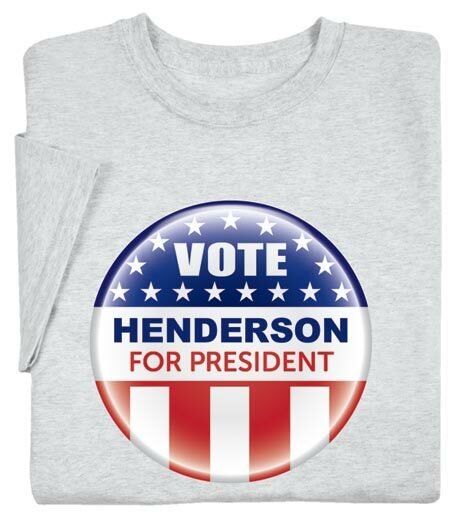 Customize any name or phrase above "For President" and get laughs as you proudly campaign for your personal candidate. 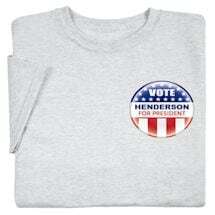 T-shirts are 99% cotton/1% poly, sweatshirts are a 50-50 cotton/poly blend. Imported shirts. Printing in the USA. Machine wash. M-XXL. Ash color.